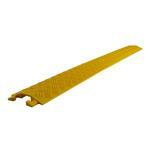 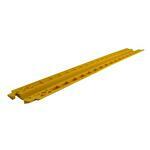 The Pyle 'PCBLCO' Cable Ramp Track Covers provide safe and reliable cord and wire management. 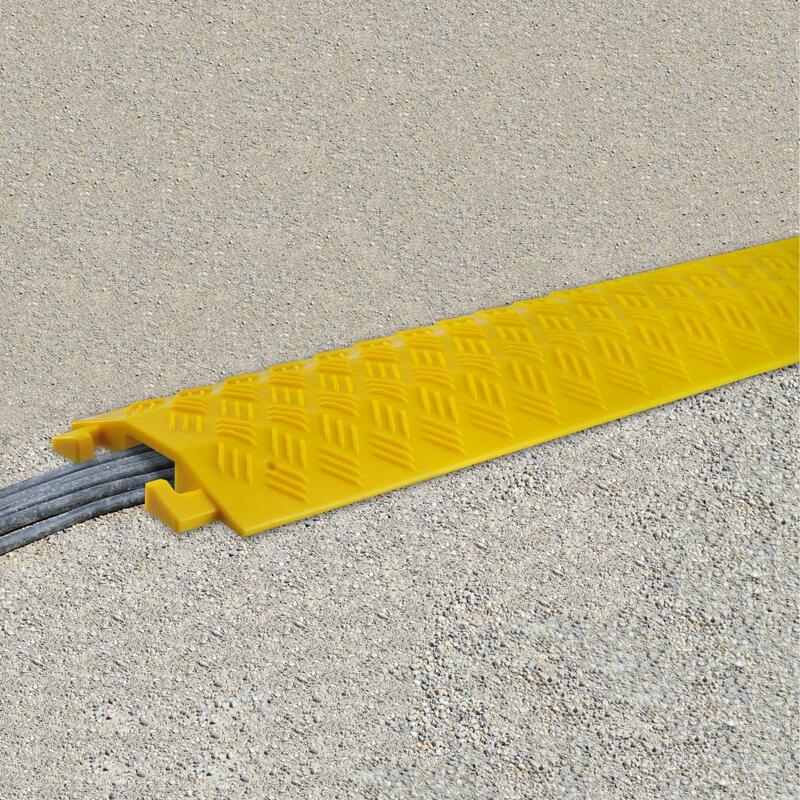 Made from heavy duty engineered construction, these cable protectors add safety and comfort in any environment -- indoors or out! The bright yellow color makes the system clearly visible and the anti-slip textured surface can handle the stresses of high-traffic public areas. The extra rugged construction has an impressive 2,000 lb. 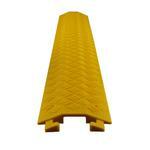 load capacity and the non-interfering design allows carts and strollers to roll right over. 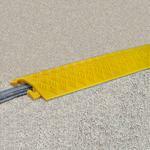 Interconnect multiple tracks for cable management in larger demanding areas. Keep your equipment safe and allow everyone to pass-by with the Pyle 'PCBLCO' Protective Cable & Wire Concealment Ramps (sold as single track).